I've long advocated advance testing for the purpose of detecting cancer early. I still believe all women over 40 should get mammograms regularly — despite the insurance and cancer industries pushing to delay most tests until 50. Had my wife not had them regularly, and not been doing self-exams as well, she'd most likely have been dead from the breast cancer she contracted. I still routinely get PSA tests, despite their now being pooh-poohed by most medical folks. Had I not had such tests with regularity, I'd most likely been dead from the prostate cancer I contracted. A Liverpool Echo story repeated by other publications many times this week tended to underscore my feelings. 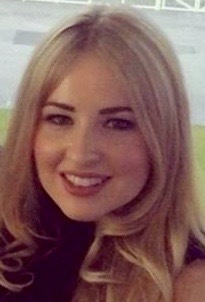 It told of a 29-year-old British woman, Clare Daly, a fair-skinned blonde who died in December, three months after being diagnosed with a malignant melanoma, an aggressive skin cancer. She'd had chronic shoulder pain but believed it was just a pulled muscle. So she hadn't checked out any possibility of cancer, and settled for physical therapy. 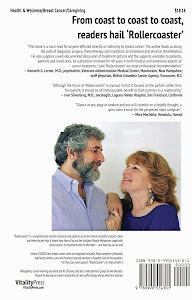 A story by Dana Dovey in yesterday's Medical Daily, one of multiple online and print sites that reiterated the Echo tale, quoted the Skin Cancer Foundation to the effect that "a melanoma is the most dangerous form of skin cancer, and grows when unprepared DNA damage to skin cells, most often caused by the sun or tanning beds, triggers mutations that cause skin cells to multiply rapidly." Doctors eventually linked Daly's melanoma to a mole she'd had removed years earlier. When Daly's cancer finally was diagnosed, she began aggressive treatment with a therapy not covered by health insurance. After her death, her family and friends, who'd previously pitched in to cover her medical costs, began a nonprofit foundation to raise melanoma awareness. Because it made the story more sensational, Daly was described in many reports as a newlywed. She'd actually been married to her partner of five years in July 2014. 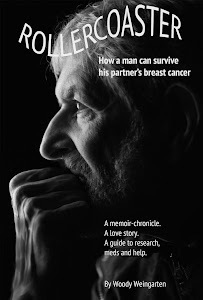 Details of my journey with my wife's breast cancer, and my own with prostate cancer, can be found in "Rollercoaster: How a man can survive his partner's breast cancer," the book I, Woody Weingarten, wrote to help male caregivers.